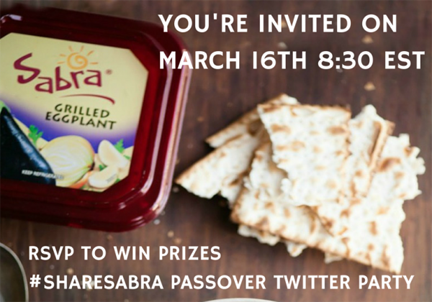 Join Joy of Kosher and friends for the #Philly4Passover Twitter Party Tonite, March 23rd at 8:30 pm ET. 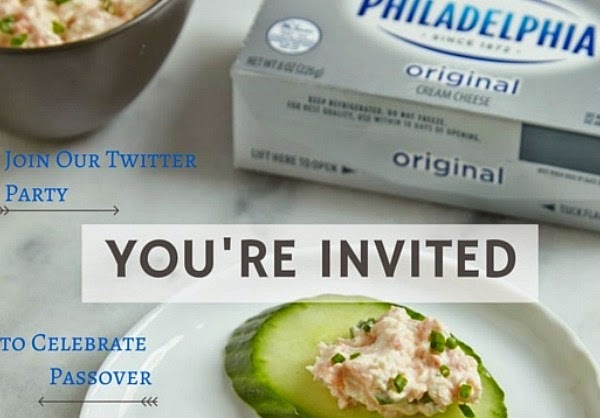 We'll be talking about Passover traditions, entertaining ideas, food and also sharing some delicious recipes using Philadelphia Cream Cheese for holiday dairy dishes. There will also be fabulous giveaway prizes for some lucky party participants who Tweet along with us including $50 + $100 American Express giftcards and copies of Joy of Kosher Passover Issue. FTC Disclosure: I disclose I am being compensated for my involvement with the #Philly4Passover Twitter Party. See complete FTC Disclosure information that appears at the bottom of MommyBlogExpert's main page and at the bottom of every individual post on this blog, including this one.